Catalytic Products International, Inc. (CPI), a leading supplier of air pollution control equipment, was founded in 1969 by Mr. Erwin C. Betz, a chemical engineer, to assist industry in meeting increasing federal regulations related to air pollution. The United States Environmental Protection Agency (EPA) sets the maximum concentration of ozone that can be in the ambient air. Ozone is ground-level air pollution, sometimes called "smog" in common usage. Ozone is formed by a reaction of volatile organic compounds (VOCs), nitrogen oxides (NOx) and sunlight. Armed with a firm background in process chemistry and system mechanics, CPI evolved as a leading innovator and supplier of high-quality, industrial quality air pollution control systems. 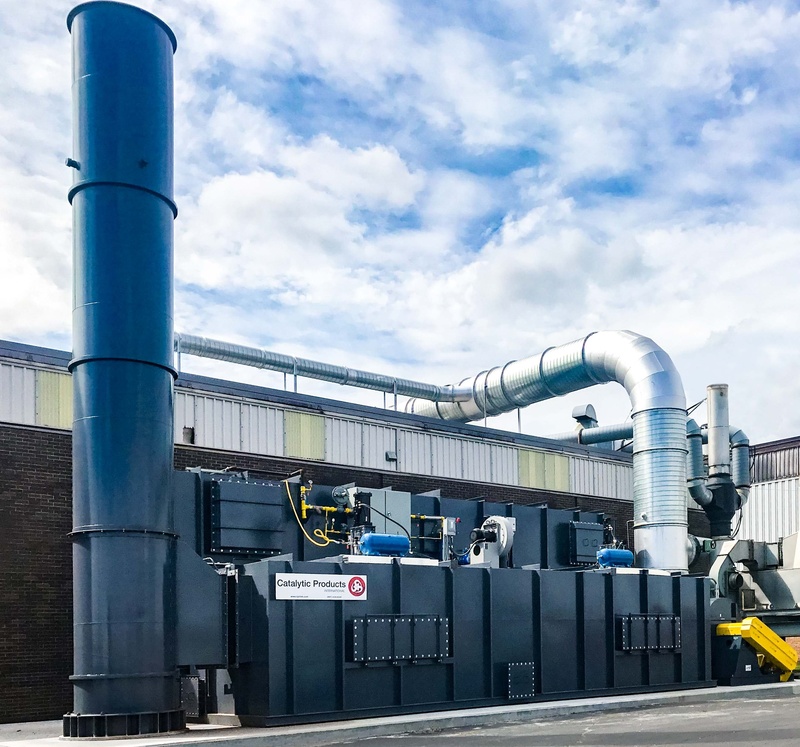 CPI pioneered leading developments in the evolution of thermal oxidizer, regenerative thermal oxidizer (RTO), and catalytic oxidizer technologies which are the primary method used to destroy volatile organic compounds (VOCs) and hazardous air pollutants (HAPs). CPI initially specialized in precious metal catalyst production, and in 1973, Dennis Lincoln was hired to build the catalyst manufacturing processes. Dennis became a key partner in building CPI, eventually becoming President of the company. Today, CPI is a trusted resource in resolving the most complex air pollution and energy conservation problems. With innovative solutions designed to assist manufacturers and industrial processors in meeting stringent air pollution control mandates while remaining vigilant about their energy consumption. CPI prides itself on providing a single-source solution to your air pollution control requirements. We are proud of the accomplishments of our team, and our contribution to the air pollution control market. We look forward to continuing as a trusted partner to industry by Enabling Clean Production for the next 50 years! Entered air pollution control industry as a catalyst manufacturer and service provider. Federal EPA was created in 1970 to enforce the Clean Air Act (CAA). Fourteen innovative product patents granted leading to growth in the nuclear power generation industry, including hydrogen recombiners. Specialized in Catalytic Oxidizers and retrofit service for a number of national accounts. Began development of oxidizers and floating tube heat exchangers. Expanded business by building new offices in Lake Zurich, IL. Developed a specialized thermal treatment device used for low volume - high BTU content waste gasses. Thermal oxidizer for coating applications with heavy siloxanes developed. Regenerative Thermal Oxidizer (RTO) entry, including flow control valves and media bed designs. Thermal Combustor System (TCS) for meeting needs in the gas and oil industry introduced. Developed a first-of-its kind process for treating ammonia and other nitrates in waste and water. Several variations of SCR products for treating nitrogen oxidize (NOx) from industrial sources. Developed direct and indirect low emission process heaters for industrial applications. Next generation Regenerative Thermal Oxidizer with vertical valve design released. Expanded RTO size range, to cover from 500 to 80,000 scfm. Innovated RTO ceramic media bed designs for Silicone, rendering, and other particulate applications.